Over time, your teeth are going to stain. It is inevitable and natural, although certain things contribute more to staining that others. Fortunately, there are effective toothpastes available to whiten your teeth, and they are not just gimmicks. The five toothpastes below have similarities and stark differences, and they are pretty much guaranteed to whiten your teeth. There are many reasons besides its aggressive whitening ability for why someone might benefit from a prescription toothpaste like Colgate PreviDent. The fluoride content is about five times higher, so it aggressively prevents tooth decay as well. Also, it increases the resistance of acid for your teeth and reduces white spot lesions, which promotes whitening. The cleaning system is mild, and the there is a low abrasion system for the whitening, so it is gentler on sensitive teeth. Finally, the last benefit to this whitening and decay preventing toothpaste is a special gel formula for your roots. The liquid gel adds minerals back to the roots of your teeth at an unsurpassed rate. If this sounds like something you’d like to try, you should talk to a dentist, like those at Treasured Smiles Dentistry, to see about getting prescription for it. Tom's of Maine Antiplaque and Whitening Fluoride-Free Toothpaste is one of the better whitening toothpastes because unlike other products of its kind, Tom's of Maine is not abrasive on teeth. It is also the only ADA approved natural toothpaste. It uses a unique formula to whiten and protect teeth by using xylitol instead of saccharin to sweeten its toothpaste. Xylitol prevents decay, combats bacteria and cleans tarter. The whitening agent is calcium carbonate, which is effective and not nearly as harsh as the competition. This brand of whitening toothpaste is especially effective at whitening teeth sensitive to cold, hot or sugary foods. Also, it is able to provide whiter teeth without negatively affecting or causing pain to your mouth or teeth. Next, it is designed to remove surface stains by breaking them up without harming your sensitive teeth. 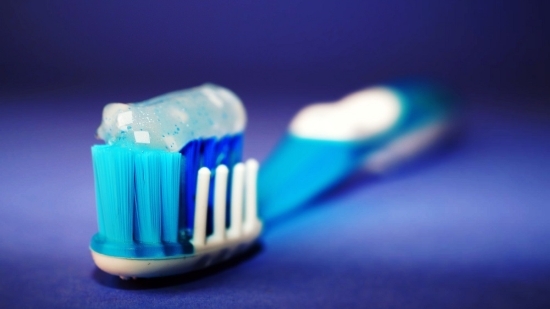 This toothpastes also hardens enamel while whitening, which makes it unique. Finally, people prone to and who commonly suffer from canker sores, have an option to whiten their teeth without suffering. It is the total package by preventing cavities, strengthens enamel, removes stains and makes your teeth visibly whiter. If you are looking for a toothpaste to just remove stains and whiten only, then this might be the best choice for you. It does fight cavities though, and it freshens breathe and removes up to 90 percent of surface stains. There will be noticeable results after just a couple of uses, and you will see the best results after using it for five days. It has an exclusive Whitelock technology to help maintain whiteness. Also, the unique compound is able to seal out future stains. It really is designed purely for whitening teeth. Unlike most toothpaste brands, this one comes in two different bottles and is considered to be a luxury fluoride toothpaste. One is meant to be used in the morning and the other in the evening. The AM one has citrus and mint in it and is meant to be refreshing while the PM one, with its lavender, chamomile, and vanilla, is meant to be relaxing. As for its whitening abilities, it helps to remove surface stains and even helps to keep new stains from setting. Hygienic technology has come a long way and continues to progress rapidly. Do your research and always consult with your dentist though. One thing is for sure, these four toothpastes are the best at ensuring your smile will show confidence and whiter teeth.